This week, Oscar-nominated “Get Out” and “Us” director Jordan Peele landed at the center of the latest black-and-white race debate on social media. 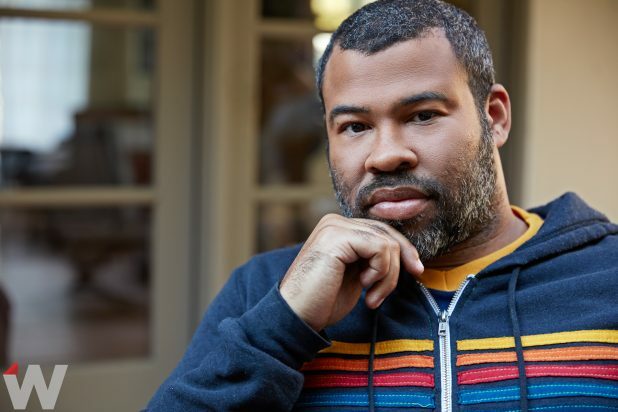 During a recent appearance at East Hollywood’s Upright Citizens Brigade Theatre, Peele made the shocking (to white people only) declaration that he probably never will make a movie with a white actor as the protagonist. Cue sanctimonious outrage: Reverse racism! His critics collectively dismissed him as racist for speaking his own truth, one whose flip side has applied, though it’s never stated outright, to white movie directors since the dawn of Hollywood. If Peele’s manifest destiny is to tell black stories because they so rarely get told (and almost never by white directors), why would any reasonable person expect a white actor to get top billing? “Reverse racism” is such a cop-out, a fallacious concept invented by white people who need to see in others what they can’t bear to see in themselves. They’re the ones who can’t take what they routinely dish out. Racism is racism, and all of us, regardless of color, harbor it to some degree. But racism becomes a social disease when it systematically and systemically places one race at the top of a hierarchy at the expense of other races. That is why the N-word stings so much more than any word blacks ever coined to denigrate white people. It’s why blackface hurts in a way that whiteface doesn’t. There are centuries of brutal history to back up the sting. In Hollywood, racism has historically worked in favor of white actors. They rule the hierarchy. Peele’s dedication to a different cause may cost a few white actors leading roles, but it’s a twist made necessary by a caste system created by whites to benefit whites. That’s why black entertainers deserve the BET Awards and the NAACP Image Awards. It’s why black music producers create hip-hop and R&B. It’s why black authors write black literature. It’s why black publishers launch black magazines. In an entertainment industry controlled largely by straight white men, minorities and other underrepresented groups, like women, need to celebrate themselves or risk going unrecognized. John Ford won four directing Oscars and Frank Capra and William Wyler scored three apiece, and to my knowledge, none of them ever made a movie with a black male lead. When is the last time a director has won the Oscar for a film featuring a black male lead? Hint: It’s never happened. A black director has yet to win an Oscar for directing, and although blacks have been more prominent in the acting nominations during this century, only one black woman has won Best Actress in 91 years of Oscars (Halle Berry, for “Monster’s Ball”). And sadly, when blacks are nominated, it’s typically for movies that in some way revolve around race and racism. Looking at the highest-profile Hollywood films with prominent black characters, one might think we exist only in relation to white people. That’s why movies like “Moonlight,” “Black Panther,” and Peele’s current horror smash “Us” are so groundbreaking. They present black actors in settings that don’t include masters, whips, plantations or Jim Crow laws. It’s been a long time coming, and it’s appalling that some people are still begrudging blacks the honor of being presented as multidimensional characters by directors devoted to doing so. Are they upset that Peele only will make films with black male leads, or that he came out and said it? Would they be as upset if a white director committed himself to blacks-only filmmaking? He’d probably be hailed as being brave and revolutionary, a true white savior. Would they be upset if Peele were a niche indie director whose films made little money? Does the popularity of his films demand that he give white actors a shot at headlining them, though some of the most celebrated directors in Hollywood (Martin Scorsese, Alexander Payne, and Christopher Nolan, among many others) have never cast black actors in major roles? The reason why the current surge in black directors is so important is because they finally are telling black stories rather than leaving it up to white directors who, when they get around to telling them, rarely seem to get it quite right. (See the recent outrage over Peter Farrelly’s “Green Book.”) Blacks were overlooked for so long in Hollywood, and now that they’ve finally started making their own opportunities, they shouldn’t feel obligated to share their newfound wealth with actors who have historically had a surplus of opportunity. To some, the legacy of white privilege doesn’t seem to be enough. They expect newly empowered blacks to open doors for whites when empowered whites spent so many years shutting theirs in black faces. That’s the truly galling double standard, not a black director creating leading roles for black men only. Over the past year, white (and nonwhite) men have had to come to terms with a resurgent women’s movement. Now it’s time for them to stop using their privilege as a crutch and accept a world where they may no longer be the center of everyone’s narrative. Judging from the commercial success of “Get Out,” “Black Panther” and now “Us,” audiences will embrace compelling stories regardless of the color of the characters that populate them. Black directors have always known this and until white directors finally catch up, black actors are lucky — and at last, privileged — to have the Jordan Peeles, the Barry Jenkins and the Ryan Cooglers finally tilting the scale in a new direction. Jeremy Helligar is a journalist, blogger, pop culturist and world traveler whose work has appeared in various publications and on various websites -- including Entertainment Weekly, HuffPost and The Root -- on six continents. In November 2013, after extended stints in Buenos Aires, Bangkok, Cape Town, and Australia, he published his first book, "Is It True What They Say About Black Men?" Since June 2017, he's been working his way around Asia and Europe, but he still hasn't been able to top the time he interviewed David Bowie. The Taj Mahal came close.